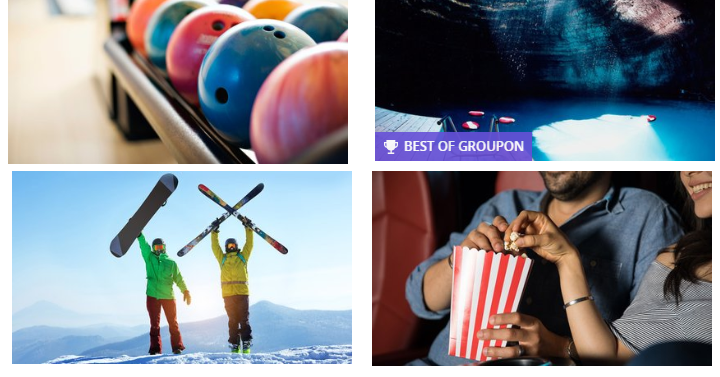 Groupon: Save up to $30 off Your Purchase! Fun Things to do for Spring Break! I love finding good deals on Groupon. They have a good variety of things to do, restaurants and more. Right now you can save $5 off your $20 purchase, $10 off your $40 purchase, $15 off your $60 purchase, and $30 off your $100 purchase with coupon code MORE at checkout. This would be a great time to shop for things to do on Spring Break. I’m seeing bowling, skiing, movies and more. Be sure to read all of the fine print before you make your Groupon purchase.